Situated near the airport, this inn is 0.6 mi (1 km) from Japanese Garden and Bonsai Nursery and 2.3 mi (3.7 km) from Watergate Bay Beach. St. Mawgan Church and Carnewas and Bedruthan Steps are also within 2 mi (3 km). Situated in Newquay, this cottage is 0.2 mi (0.3 km) from Japanese Garden and Bonsai Nursery and 2.7 mi (4.4 km) from Watergate Bay Beach. St. Mawgan Church and Carnewas and Bedruthan Steps are also within 2 mi (3 km). 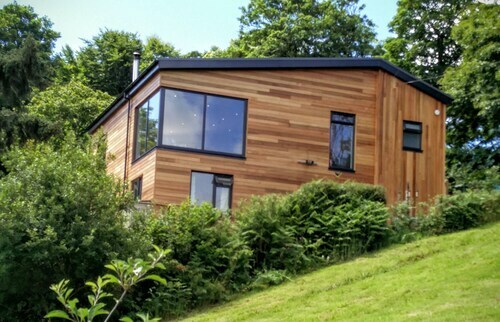 Situated in Newquay, this vacation home is 0.2 mi (0.3 km) from Japanese Garden and Bonsai Nursery and 2.7 mi (4.4 km) from Watergate Bay Beach. St. Mawgan Church and Carnewas and Bedruthan Steps are also within 2 mi (3 km). 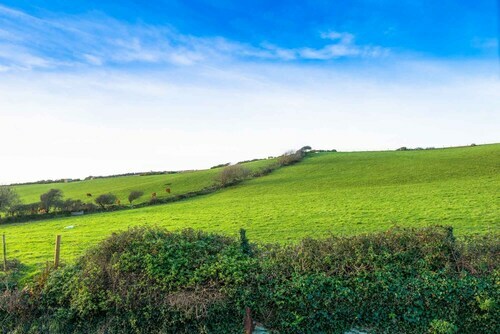 Situated in a rural location, this historic vacation home is 0.1 mi (0.1 km) from St. Mawgan Church and 2.4 mi (3.9 km) from Watergate Bay Beach. Japanese Garden and Bonsai Nursery and Carnewas and Bedruthan Steps are also within 2 mi (3 km). Situated in Newquay, this cottage is 1.9 mi (3 km) from Treloy Golf Club and 2 mi (3.2 km) from Porth Beach. 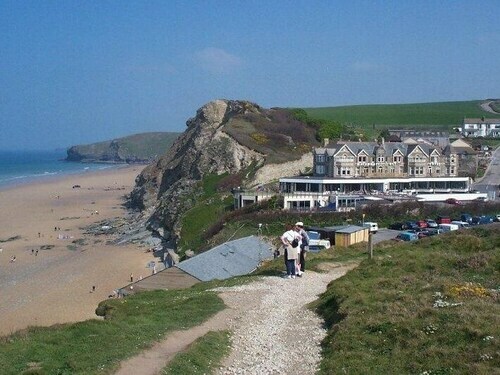 Lusty Glaze Beach and Tolcarne Beach are also within 3 mi (5 km). This family-friendly Newquay vacation home is located by the ocean, within a 15-minute walk of Carnewas and Bedruthan Steps and Watergate Bay Beach. Porth Beach is 2.5 mi (4.1 km) away. Situated in Newquay, this apartment building is within a 15-minute walk of Carnewas and Bedruthan Steps and Watergate Bay Beach. Porth Beach is 2.5 mi (4 km) away. Situated in Newquay, this apartment building is within 1 mi (2 km) of Carnewas and Bedruthan Steps and Watergate Bay Beach. Porth Beach is 2.5 mi (4 km) away.